What do you hope the #UniteForParkinsons campaign will achieve this year? Parkinson’s a very distressing problem and the more people are aware of it, the more hope we have that one day somebody will find a cure – or at least some sort of treatment that alleviates the condition. Tell us about your personal experience of Parkinson’s. In 2001, I noticed that my mother, then aged 78, had developed a tremor in her hands. I took her to see a specialist at Kingston hospital, UK – which is near where she lived – and the doctor said straight away that it was Parkinson’s. He thought it would probably take about five years before things became really difficult for her. He was spot on. Essentially, what happened was that gradually over those five years, my mother became less and less able to look after herself. It began with little things like not having the ability to open a can, because her hands were shaking too much, or peel potatoes, which she found very frustrating. And it gradually got worse, to the point where she almost became a prisoner in her own home really. She became physically weakened and she found it difficult to move. 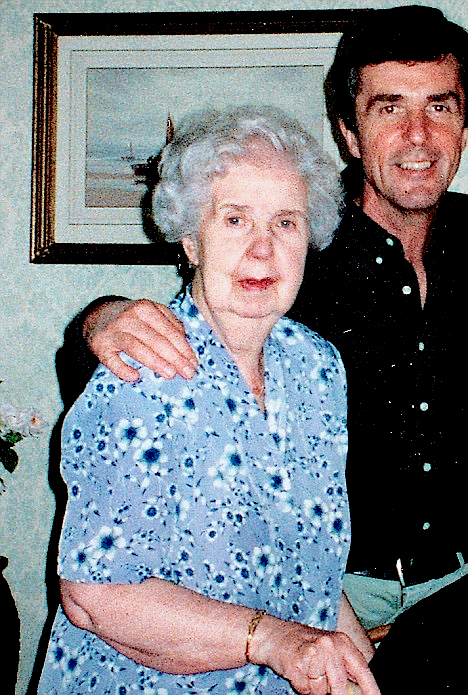 It was very, very sad to watch, because my mother had been a very outgoing, jolly and positive person all her life. She became this withdrawn, uncertain, confused, old lady basically. She died in 2007. Yes, I do. I kept some of the cuttings from those previous interviews and I re-read some of them the other night, and I’m not exaggerating it brought a tear to my eye to read it again. Because, there’s no getting away from the fact that it’s distressing for everyone. What advice would you give somebody who has recently been diagnosed with Parkinson’s? First and foremost, get them diagnosed. Make sure you know what you’re dealing with, that it is Parkinson’s, because the symptoms of Parkinson’s can be related to other problems as well. Try to get as much help as you can. You may also find that you are entitled to some financial aid for things like an allowance to help with your housing. The help is there, and you might be happily surprised at how much is on hand. Our local authority in Richmond, UK, was absolutely fantastic. They made adjustments to my mother’s flat and helped her get about. They got us carers at one stage, because she was in and out of the hospital, and then she was in a residential home for a little while, but she wanted to be at home. They were very, very mindful of that and they gave her a lot of assistance. Do you feel enough is being done for people with Parkinson’s in terms of care, research and financial support? Well, in my case I can’t complain. I think that Kingston hospital – where she spent a lot of time – were fantastic, and, as I mentioned the local authority in Richmond were very good indeed. So, from a personal point of view I would say that yes, enough was done. But I’m sure there are places up and down the country where that’s not the case and more could be offered. In which areas of research would you like to see more done? More Parkinson’s research is needed, full stop. Some time ago, Parkinson’s UK had this really good idea to get some of us VIPs to donate our brains to Parkinson’s research. So I did, along with Jane Asher, the chair of Parkinson’s UK, and broadcaster Jeremy Paxman. It was a great idea because it gave the condition Parkinson’s fantastic publicity. I remember even seeing some of it in the China Morning news – sensational coverage all around the world. So, assuming they can find my brain, I’m more than happy to help in that way. But, any kind of research is worthwhile. Which recent advances in Parkinson’s research have got you most excited? 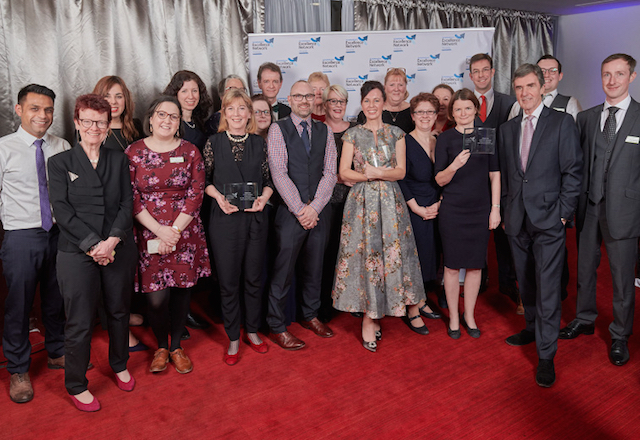 I hosted the Parkinson’s awards in Birmingham a few months ago, which recognises the people in the industry for the terrific work that people have done for Parkinson’s. Has your experience of Parkinson’s influenced your work as a broadcaster? Until my mother got ill, I didn’t really know anything about the condition, so subsequently my experience has made me more sensitive regarding the issue, and more knowledgeable about it. There can be a social stigma attached to it, in that others may not understand their problems such as hallucinations, or some of the side effects of the drugs. And the whole point of events like World Parkinson’s Day is to do precisely that – to make people more aware of the condition. For comprehensive information about issues surrounding relationships and communication visit the European Parkinson’s Disease Association (EPDA) website. The EPDA and Parkinson’s UK are running the #UniteForParkinsons campaign to coincide with World Parkinson’s Day today (11 April). 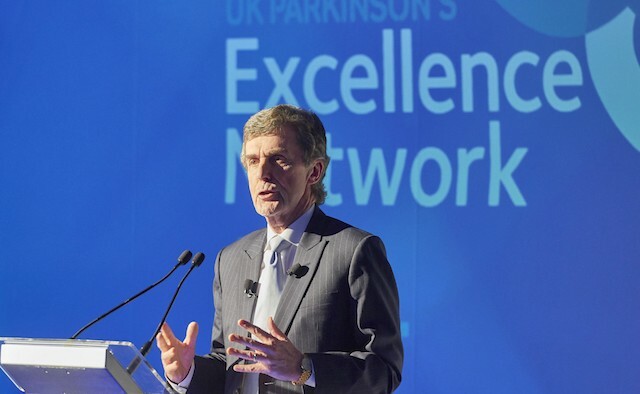 It aims to inspire Parkinson’s organisations and supporters around the world to come together on a bigger scale than ever to show what Parkinson’s truly is. Get involved by making your own Parkinson’s video and sharing it on social media using the hashtag. For more information, visit the website. Campaign toolkits are available to download in Dutch, English, French, German, Italian, Spanish and Welsh.